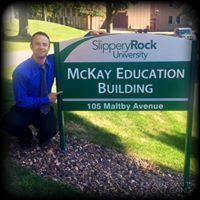 College of Education Donation - SRU Foundation, Inc. The College of Education strives for academic excellence. Students will undergo a systematic study of the act of teaching and learning, learn the principles that have guided the greatest teachers, and study what science tells us about being effective. Students will also be placed into teaching situations where they will be guided to apply theory into practice. The College of Education has been recognized for excellence in these areas, including NCATE Accreditation. Our mission is to prepare teacher candidates and related professionals for service in a diverse global community. Within this context, teaching, scholarship, and service are viewed as a triad in which teaching is enlightened by scholarship and applied through service. The purpose of this program is to recruit quality first-year students to the College of Education and provide them professional development opportunities. Students in this program also recieve the added bonus of being mentored by the excellent faculty within the college of education, and earning up to $800 in student worker wages, and receiving a new iPad. 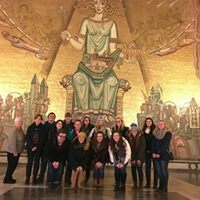 Students have the opportunity to travel abroad to student teach, participate in humanitarian projects and learn global teaching skills. Students also can travel to conferences and participate in other professional opportunities. The College provides various opportunities for students to receive financial aid through the private support of alumni and friends. Each concentration and/or major offers help for successful students. Gifts made can support an existing scholarship or create their own.